RealSelf is a website dedicated to providing information regarding cosmetic procedures and aesthetic treatments. The site is community-driven with patients asking questions and leaving reviews while doctors and other professionals offer answers and other pertinent information. Every year RealSelf honors top doctors who they deem have shown a commitment to answering patient’s’ questions and encourage unbiased reviews. There are three levels to the honors: Participating Members, Distinguished Members, RealSelf Top Doctors, and the prestigious RealSelf 100 which is awarded to the cream of the crop. 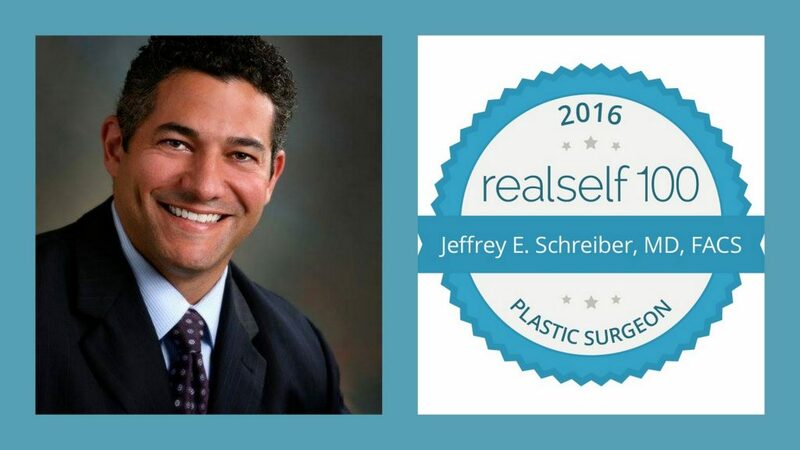 This year, Dr. Jeffrey Schreiber, a plastic surgeon in Baltimore, was a recipient of the RealSelf 100 honor. In order to be considered for the award, doctors must have answered more than 75 user questions at RealSelf, have more than 3 user ratings of above average, answer more than 10 questions every 90 days, and must have positive votes on their answers. Clearly, being named to the RealSelf 100 is not only an honor, it is also a signal of knowledge, competence, and a helpful, caring nature. Whether users are looking for a tummy tuck in Baltimore or any other procedure across the country, they turn to the knowledgeable doctors at RealSelf to get answers to their questions. Dr. Schreiber has proven himself to be a trustworthy expert, not only to his patients but also to anyone else looking for advice regarding a procedure which they are considering. He is a dedicated professional who is more than happy to share his expertise in an effort to make people feel better about themselves and be more knowledgeable about all aspects of cosmetic surgery. As a recipient of the RealSelf 100 honor, Dr. Schreiber and his Baltimore cosmetic surgery center achieved what many only dream of, seeing their name in the bright lights above New York City. The RealSelf 100 was announced in Times Square, a tourist mecca that sees an average of 330,000 visitors each day. This incredible honor was much more than a mere ego boost for Dr. Schreiber, it showed him that his efforts to answer questions and help people from allover the country find answers to their questions regarding cosmetic surgery is deeply appreciated. People in Baltimore are fortunate to have a distinguished and knowledgeable professional available locally in the form of Dr. Jeffrey Schreiber. If you are considering cosmetic surgery and would like to get in touch with a top plastic surgeon in Baltimore, call Baltimore Plastic and Cosmetic Surgery Center at (410)205-1846 to schedule an appointment or consultation. Previous post Signs It’s Time For A Facelift Next post Is a Tummy Tuck Medically Beneficial for Men?